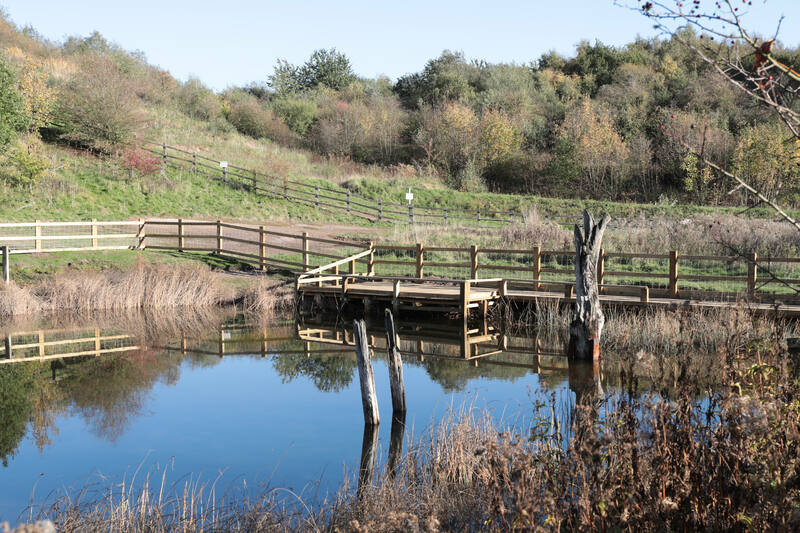 If you haven’t visited the Dragonfly Pond at Anderton recently, please go and have a look at our newly completed dipping platform, fencing and kissing gate. 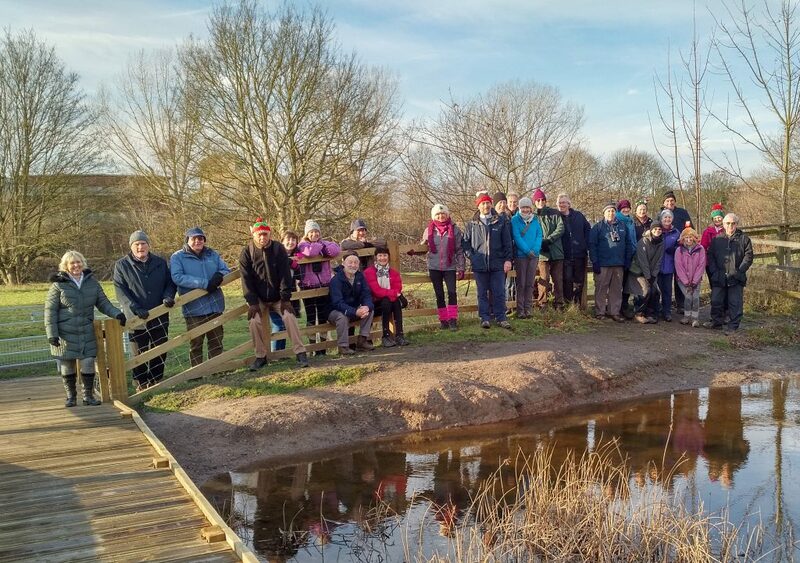 The project has been made possible thanks to funding of £1,200 from our Ward Councillors and £6,000 from INOVYN. We are now working on phase 2 of the project to replace the interpretation panel near the platform. We have also completed the digging of several scrapes at Dairy House Meadows. We decided to use best available technology and hired the RSPB’s rotary ditching machine to carry out the work. Read about these projects and our other news in FoAM’s Autumn 2018 Newsletter. 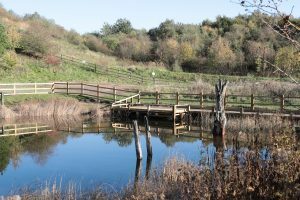 The last copies of Cheshire West and Chester’s Explorer Guide ran out and the Council no longer supported funding a reprint. 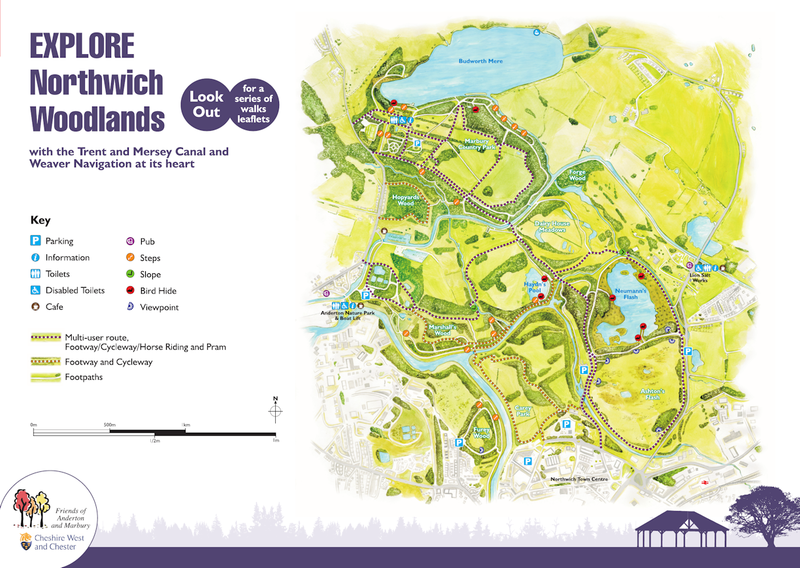 There is still huge demand from visitors for a printed map, so read how FoAM has funded a new Explorer Map leaflet for Northwich Woodlands. 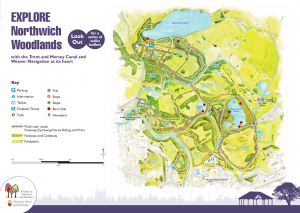 The new map leaflet has been printed at a smaller size as the old one was unwieldy to open whilst walking. We are pleased that FoAM’s application to the Charity Commission has been successful and we are now a registered charity.